The first step of creating an author website is to buy a domain. OK, we’re jumping into the technical part of starting an author domain. 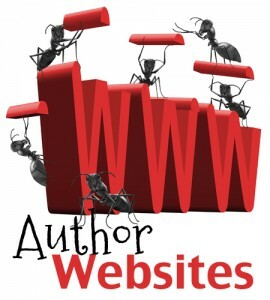 If you’re only along for writing specific pages on your Author Website, you get a pass today. But come back tomorrow for writing. Domain: A domain name is a unique name that identifies a website. It is usually precede by www and followed by .com, .net, .org or other specific designations. Authors should own their own domain because it’s the most reliable way to build traffic and establish relationships with fans. You should buy and establish a domain in your name first; later, if you wish, you can add other domains for the titles of your book. For example, I own WWW.DARCYPATTISON.COM; but I also own domains for some of my picture books such as WWW.OLIVERKWOODMAN.COM. The basic domain, though, should be your name with a .com ending. If the domain for your name is taken, you can consider using your initials and your last name, or other variations. Or, you can also try a .net, but this will automatically cut down on your traffic; you’ll have to work harder to get visitors to your site. For the rest of these tutorials, I will refer to FamousAuthor.com, but that’s just a placeholder for your name. You should replace “FamousAuthor” with the domain you wish to buy. The easiest way to buy your domain is to combine this step with choosing a hosting company and allow the hosting company to handle the registration. This tutorial will walk you through doing this at two companies, AnHosting and Blue Host, but the process is similar at all hosting companies. Hosting Company: When you have a website, it consists of a set of special files and those files must sit on some computer somewhere. A hosting company has sets of servers, the computers that connect to the Internet and serve up files. It’s a real, physical computer. There are many hosting companies and many of them meet the minimum requirements for a WordPress site. However, WordPress recommends these: http://wordpress.org/hosting/. I recommend Anhosting.com and Bluehost.com as excellent starting places for your site. While these are two common hosting companies, you can also look at other companies recommended by WordPress.. HINT: When you start the process of setting up your website, you’re likely to use several Internet services. Take the time now to think about how you will save the login/password information. Both PC and Mac have “keychain” programs that provide a master password that accesses your passwords. It’s time well spent to set this up early. Before you start, decide what name you would like to use for your website. Usually an author’s website should be their name, as used on your book. If you use a pen name, you’ll want to use that name. Sometimes, however, your name isn’t available. Try other variations of your name until you find one that isn’t taken. Avoid using hyphens in the name, even if you have a hyphenated last name, because it’s non-standard and harder to remember. Whatever name you finally decide upon, the main criteria is a domain name that is short and easy to remember. I’ve had my blogs at Anhosting.com for several years and have always been happy. We’ll walk through the hosting set up for them first, and then for Bluehost. Go to http://www.anhosting.com and choose your domain name. You will receive an email from AnHosting.com with information on how to log into the back end of your site. Great! Now, you have a domain and it is hosted at a great company. Time to set up the website. You will receive an email from BlueHost.com with information on how to log into the back end of your site. When I first signed up for a domain and hosting company about seven years ago, I cried all weekend because I couldn’t figure out what to do next. These days, hosting companies have tons of tutorials and videos to help you get settled in your new home. Tomorrow, we’ll write the About Page and the next day, we’ll go over important parts of the CPanel, the back end of your site. So, chill out and don’t cry. We’re taking it slow and easy. Bluehost on YouTube with tons of tutorials.